Vancouver Pen Club: Yes, modern flexy nibs *do* exist! 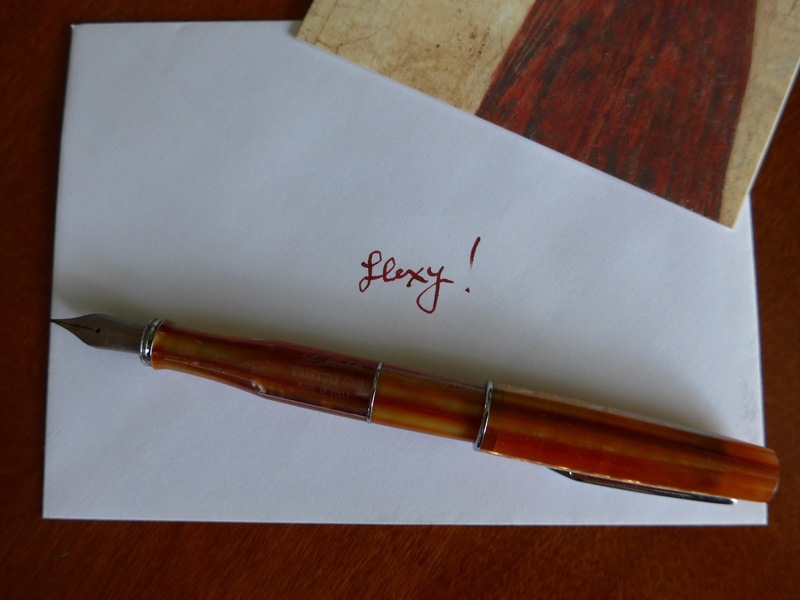 Yes, modern flexy nibs *do* exist! 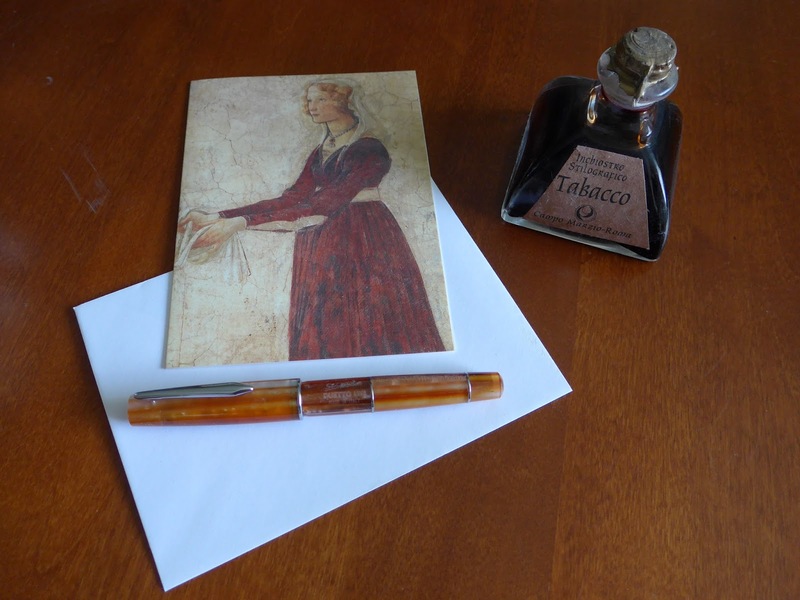 The pen is made of Cellocride®, Stipula's name for the cellulose acetate they used in the Duetto and some other pen models, such as the Ventidue '22' (sadly, both of these pens are no longer made). The placement of the Cellocride® slabs creates a lovely effect when light hits the pen. My photos don't do it justice, but trust me, it's a stunning writing instrument. Thanks again, Kim, for this wonderful addition to my Italian pen collection! I'm so pleased you are enjoying it as much as I did!